Chief Minister HD Kumaraswamy’s maiden budget has revived the pod taxi at a cost of Rs 1445 crores (five stretches totaling 29.8 kms at an estimated cost of Rs 50 crore per km) and the elevated corridor project at an estimated cost of and Rs 15,825 crores for Bengaluru. However the proposal has come under fire by citizens and experts alike, who termed it unscientific and can’t solve the traffic woes of Bengaluru city. 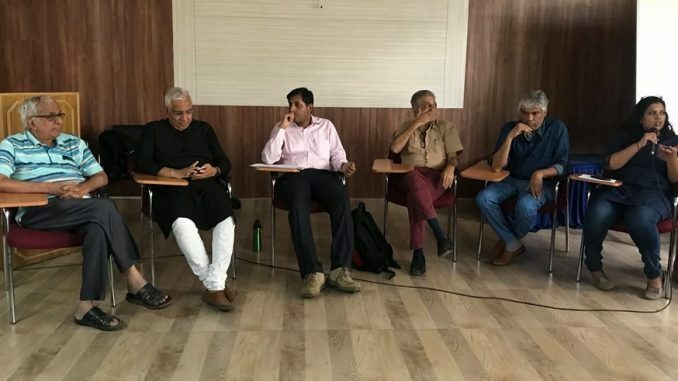 At a citizens’ meeting called by Citizens for Bengaluru, on July 7th, 2018, the volunteer group to come out of the Steel Flyover Beda movement in 2016, Professor Ashish Verma, Chairman, Transport Engineering Lab, Indian Institute of Science, Sonal Kulkarni, Senior Transport Planner, Directorate of Urban Land Transport, N Mukunda of Citizen Action Forum, V Ravichandar, Chairman of Feedback Consulting and member of a number of Government task forces including Bangalore Agenda Task Force (BATF) were joined by Naresh Narasimhan and Prakash Belwadi who led the Steel Flyover Beda movement to discuss the impact of these projects. In a public meeting which lasted for close to two hours, unanimous opinion across the panel was that both the projects would be detrimental to the city as they could neither achieve the purpose of solving traffic woes nor can it do any favours to the environment of the city. The projects which were to be pitched and implemented by the BBMP will now be implemented by the Karnataka Road Development Corporation Ltd (KRIDL), which is part of the Public Works Department (PWD) headed by H D Revanna. In his opening remarks, Prakash Belawadi pointed out that the Chief Minister’s stand on flyovers has changed since the last time he met him during the Steel Flyover row. 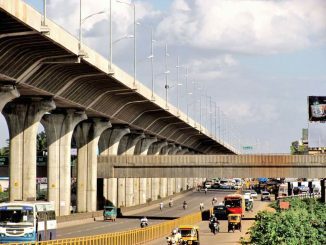 “Kumaraswamy (the then-JDS leader) and even the current KPCC president Dinesh Gundu Rao had told us (Naresh and I) when we met during the Steel flyover movement that the elevated corridor project is a massive money-making project. Today they seem to be pushing for it. The trust deficit is therefore natural. The problem is that there are no reports that outline the feasibility of these projects in the public domain. Citizens are no fools – give them the information. Have public consultations. In fact, I would go further and say we should not be the ones talking. Experts, especially ones who I do not want to name, who are batting for the project should be arguing with our experts who are against it with data. That’s how we inform the public. That’s not happening right now,” he said. V Ravichandar, a familiar face in the civic space who has worked with the government and activists questioned the process of the decision-making in the government. “There is this child that only wants to have chocolates, ice cream, soft drinks and sweets. As a mom, does she say “okay, go ahead with whatever you want. If you put on weight we will buy bigger belt, bigger size garments. If you become unhealthy we will get doctors, oxygen cylinders, pacemakers…” Or will the mom say “you can have a bit of that provided you have your greens, vegetables, lentils, protein…”” He asked what should the government, which is in mom’s position, do. He added that while most of the panel was advocating the Bus Rapid Transport (BRT) system to decongest the city, it wouldn’t fly with the powers to be. “We were two of us who argued for the project but comprehensively,” he said. He also added there were only two places in the world where the Pod Taxis functioned – the Heathrow Airport in London and Morgon Town in the United States of America where the population is less than 30,000 and it is primarily used to connect three campuses of West Virginia University. V Mukunda of CAF who led the legal fight against the steel flyover said the group would consider the legal route once again if the project is not scrapped. Adding to Ravichandra’s point about the decision making process, Mukunda said: “The 74th amendment to the KMC act means that these projects need to be ratified by the Bengaluru Metropolitan Regional Development Authority (BMRDA). That has almost become defunct,” he said. Sonal Kulkarni of DULT shared similar sentiments as she pitched for shared transport. Professor Ashish Verma presented a detailed technical report comparing cost input versus profit return (both financial and carrying capacity) for Bus Rapid Transport System (BRTS), Metro System and Elevated Corridor Project. Terming a particular government consultant working on the project nonsensical, Verma pointed out the elevated corridors do not lend themselves to public transport systems i.e. buses, they incentivise the use private transport that would only choke the city further. But there were contrary views to this in the audience. K Krishnan, a resident of Indiranagar, whose house was about 2 kms from the nearest metro station argued that since the pod taxi was being planned for the arterial roads, it helped with last mile connectivity. “Right now I take an auto from the metro station to get to my house. These guys fleece me. They demand exorbitant fares. The pod taxi will certainly help curb this problem. For some of us this makes sense” he said. One can always argue against the manner in which the government takes up certain projects, but elevated corridors as a concept cannot be ruled out, argues Nitin Seshadri. 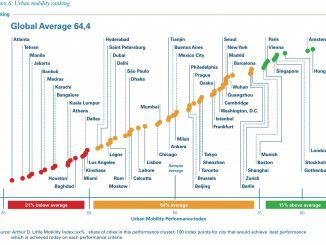 What Bengaluru needs now is a plan that looks 50 years ahead, say Prakash Belawadi and Naresh Narasimhan, in their joint rejoinder to the interview of RK Misra published on Citizen Matters. Pod Taxi as an auto replacement as argued by the Indiranagar Resident is baseless! You have ola cabs,uber cabs which can replace them. Will pod taxi go to nooks and corners?